With two wins in the UFC with no need for the judges to weigh win, Raoni Barcelos arrives with the status of a hope for a new era of Brazilian MMA in the organization. Deemed from a very young age to be some outstanding talent for the UFC’s featherweight roster, Raoni, now 30, wants to move slowly and constantly towards the top of the division. And a big test awaits him. On May 11th, he will take on Said Nurmagomedov bearing the responsibility of representing his hometown at UFC Rio, at the Jeunesse Arena. 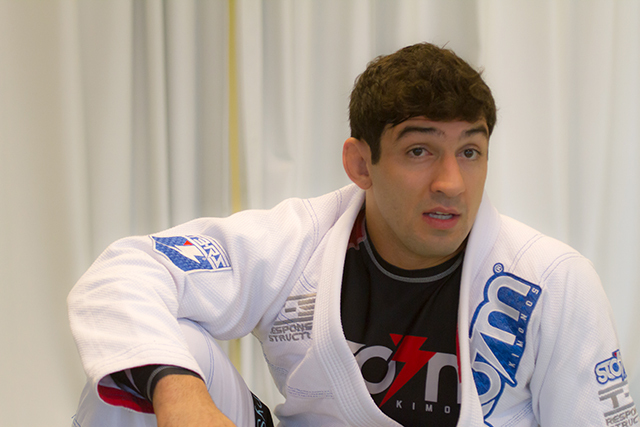 Besides, as Rodrigo Minotauro recently said to Graciemag, Raoni is among the big hopes of the new crop of Brazilian MMA athletes. Read on for our interview with Raoni. 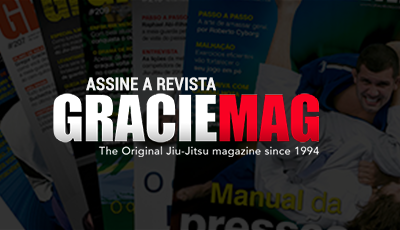 GRACIEMAG: Leading up to your third fight, do you feel like a UFC veteran or do you still get nervous? 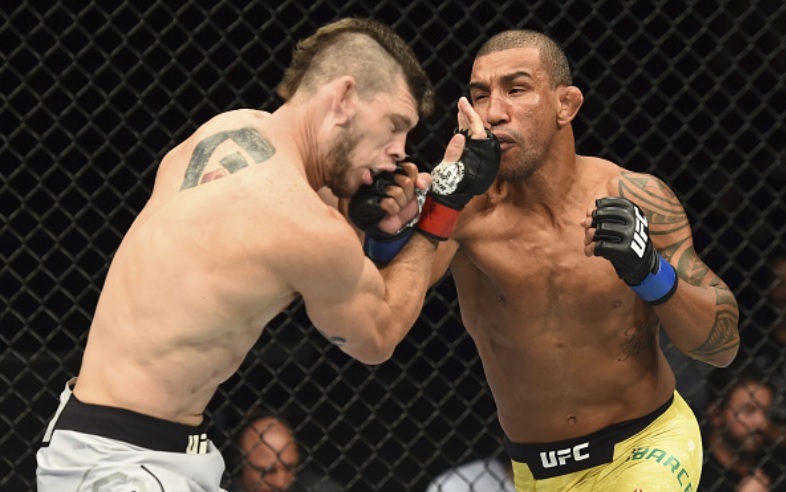 RAONI BARCELOS: I’m coming off two consecutive wins in the UFC, one by knockout and one by submission. I don’t feel like a veteran — on the contrary. I’m starting now; it’s a ladder I’m climbing, slowly, aiming for my goal, where I want to get. Certainly there are nerves; it’s normal, especially fighting at home. This is a part of every athlete. I think that when he loses this adrenaline, the fun is gone. I feel this nervousness, but I’d even say it’s a good feeling. Do you believe your game matches up well against Nurmagomedov’s? He has a very complete game as well, both standing and wrestling. He kicks a lot, also. At each of my camps I study a lot, I work on my opponent’s game to shut down what he does. I will impose my strong game, to knock out or finish, surround him standing without giving him space for his spinning attacks. In what fundamental do you feel more comfortable today? Apart from the sharp striking and ground game, I strive to feel the fight. If there’s an opportunity to knock him out standing, that’s what I’m going after. If there’s room for a submission on the ground, I’m gonna go after that. You can’t afford to make mistakes in a fight — any mistake is fatal — so the mission is to fight really tight, without making mistakes. Of course my wrestling gives me a very good base, to defend against the takedown attempts and take him down during my transitions. It all depends on how the fight unfolds. You’ve won two fights by submission so far out of thirteen. Do you think you’ve created too few opportunities on the ground? It varies a lot from one fight to the next. I didn’t have many opportunities to use my ground game in RFA, for example. Like I said before, a fight is a fight. Each opponent has his peculiarity, but rest assured that when I use my jiu-jitsu, it will be with a focus on finishing, or at least get control on top to get a knockout. Is it a big responsibility to fight in Rio? It’s a very big deal to be able to fight in my hometown. 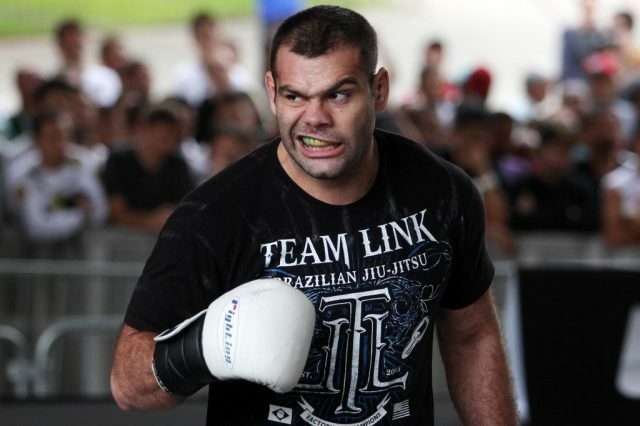 I did three camps to try to join the UFC in prior events in Rio. In one, I had even signed the contract, but I was unable to fight. This time I will fight, for real, and I feel fulfilled to be able to represent my team, my family and the kids of the Usina de Campeões social project. It’s been a long time since I last fought in Brazil. My friends are mobilizing already to buy tickets and see me there on May 11th. I’m very happy to represent my neighborhood — I’m a suburban from Marechal Hermes, with great pride — and raise the flag of those who are with me in this fight. I’m really very happy.